Internet shopping has grown massively, especially now that free delivery and returns, with multiple ways of making them, are the norm. You can order a number of variations of the same piece of clothing, for example, and then just send back the unwanted ones. While many returned items may be damaged or faulty, a lot of places will let you return something just because you don't like what you ordered. And instagramming expensive clothes, for #OOTD (outfit of the day) posts, and then returning them is one part of the "try-buy" trend. "Customer first" is the basis of all retailer strategies. Many have had to put online sales systems into place very quickly to beat the competition. But now they are struggling with the consequences. The return rates from e-commerce are quoted as two to three times higher than those for in store purchases. And there are downsides for both retailers and customers. For customers there's a time cost. On top of time spent browsing online, click-and-collect often means queuing to pick up your purchase. With home delivery, there may be time-consuming work in packaging and making returns. Online shopping can also simply lead customers to overspend, due to convenience andclever marketing techniques. 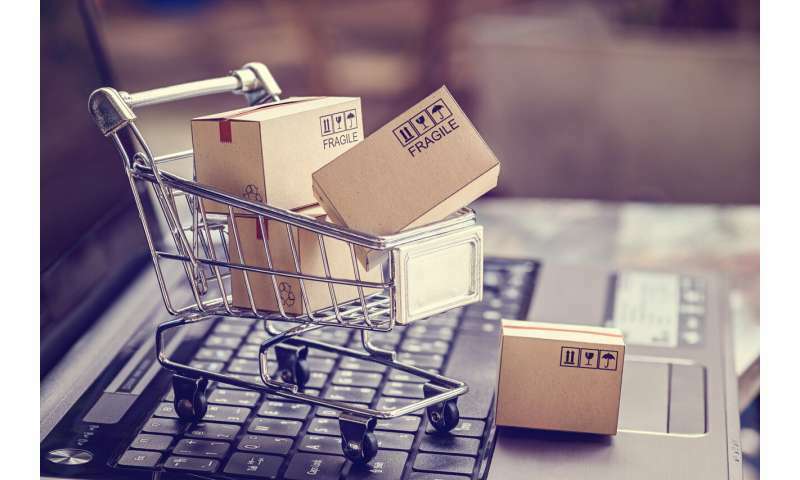 Retailers face serious logistical problems when it comes to offering an omnichannel service that seamlessly connects customer experiences online and offline. This is because most use systems that are only designed for traditional shop operations. There are a surprising number of additional costs in being an omnichannel retailer, which we've found are very likely to wipe out profits from increased internet sales. For a project, we reviewed the online sales and returns policies of 100 European retailers, conducted four detailed case studies with large UK retailers, and carried out 17 structured interviews with other European companies. We also created a cost of returns calculator. Using benchmark retail costs, our research showed that for a reasonably expensive item retailing at around £89, there would still be a cost of £3 per item from various overheads if there were no returns of the item. At a 20% rate of returns (the average for e-commerce), the cost of returns rises to £11. At 35% rate of returns (the average for clothing bought online) the cost of returns is £20. At a 70% rate of return (reported by some German clothing firms we spoke to) the item makes a straight loss for the company. Intuitively, returning an item to a store, where there are already staff and storerooms, might appear pretty much costless, but that is far from the case. Accountants KPMG found that the cost of handling a return, even in store, can be as much as three times the cost of delivering the item in the first place. This is because the systems behind returns are incredibly complex due to the way stock is managed. Shops must have secure areas to protect returned items from damage and theft, for example. Then they are costs involved in the returns support systems. There is hardware and specialist software to manage returned goods as well as initial online sales. A customer might ring the customer service team, often housed in a call centre, before going to the store. The average transaction cost of each administrative task in a business is around £7-£10. Online reduces, but doesn't eliminate, administration costs. Most companies find they need a dedicated returns distribution centre, often run by third party logistics companies, and incur all the costs of running a facility. If unused and in good condition, returned items might go back on sale, but sometimes for less if seasonal discounts are in place. If the item is damaged, there may be costs of repair. The item might even be sold onto third parties that exist just to sell surplus stock in secondary markets, given to charity or go to landfill. All involve transport, handling and transaction costs. Most customers return items in good faith (and good condition), but there are fraudulent transactions – and return frauds are increasing. Accountants are kept busy matching refunds with items received, a problem especially where guest checkouts were used for the online purchase. With all the different locations, items and financial transactions involved, pinning down a cost of returns is extremely time consuming and none of our case study companies were fully confident yet about their figures. The good news is that a very small improvement in reducing returns has a significant impact on the bottom line. One of our case study companies saved £19m over four years through low cost investments in communications and equipment. These savings are the equivalent of either the net profit they would gain from £1.9 billion additional sales or 372 people employed on an average wage. Nonetheless, it begs the question of how long the ubiquity of free returns, as we've come to know it, can last. You might argue that retailers make enough money to cover the costs and that only shareholders suffer. But that lost net margin might also pay staff wages, or be re-invested in IT, new stock and product development, better customer services and in loss prevention. It also pays for environmental measures to be taken. We suspect change is inevitable when it comes to the lure of free returns but it will be interesting to see how retailers choose to respond to this challenge.